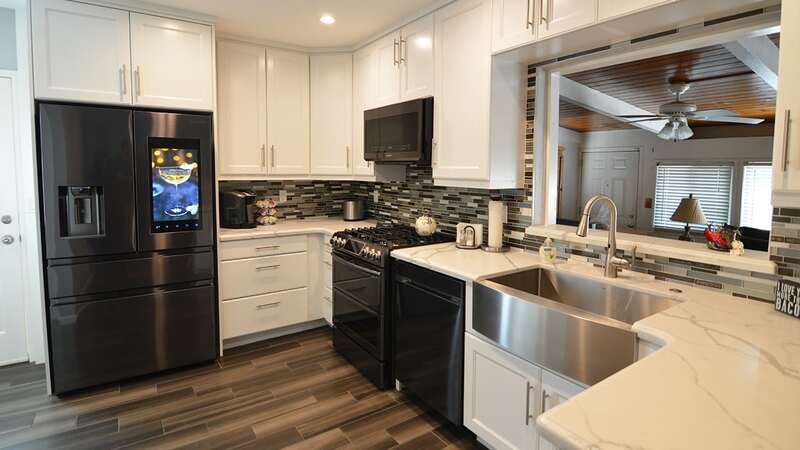 Project Features: Added seating, glass mosaic, under cabinet lightening and black chrome appliances. 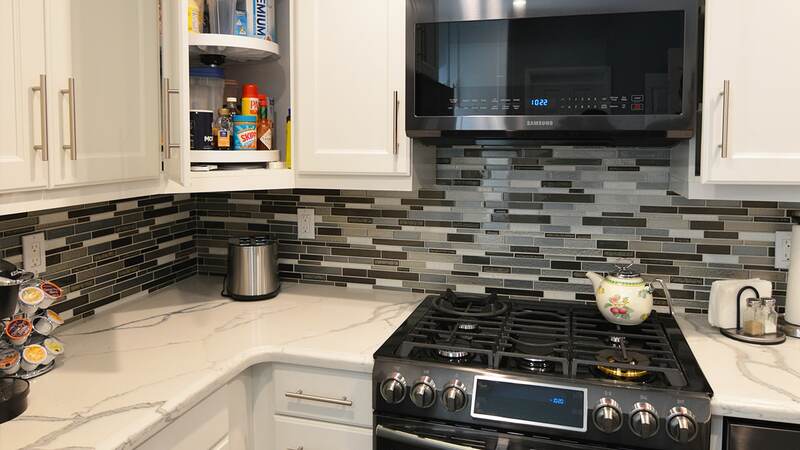 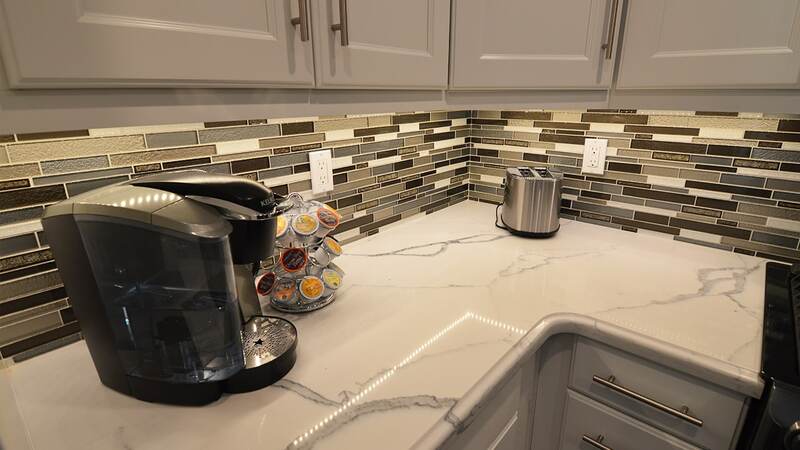 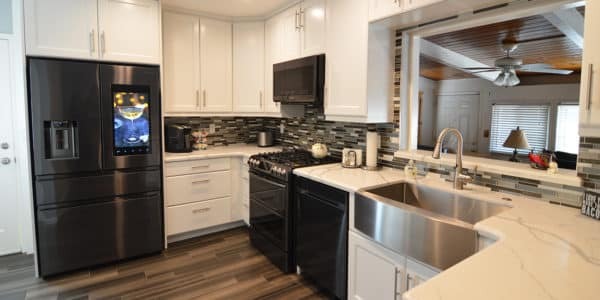 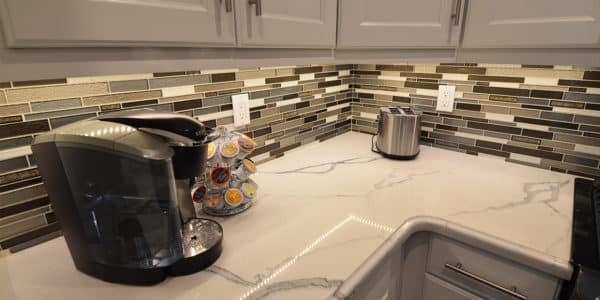 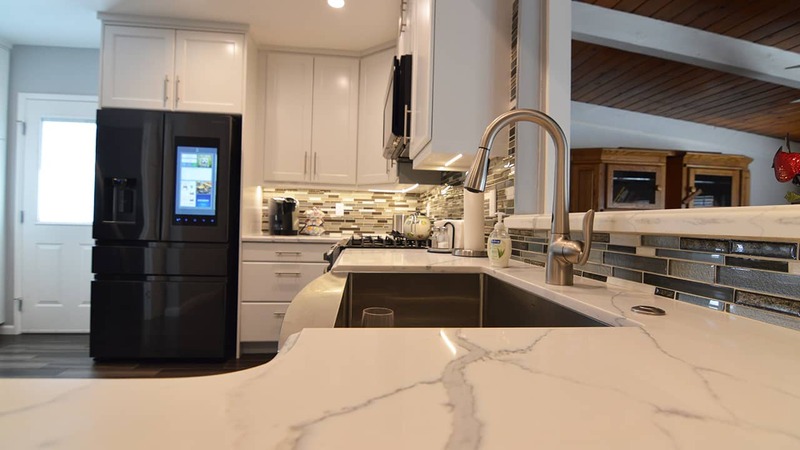 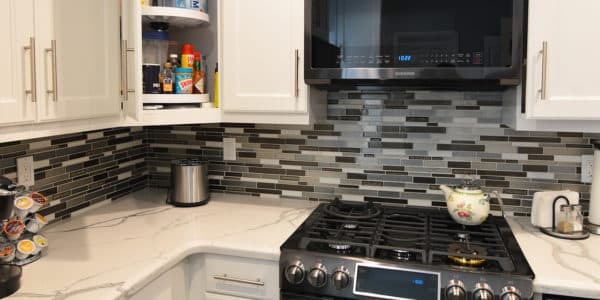 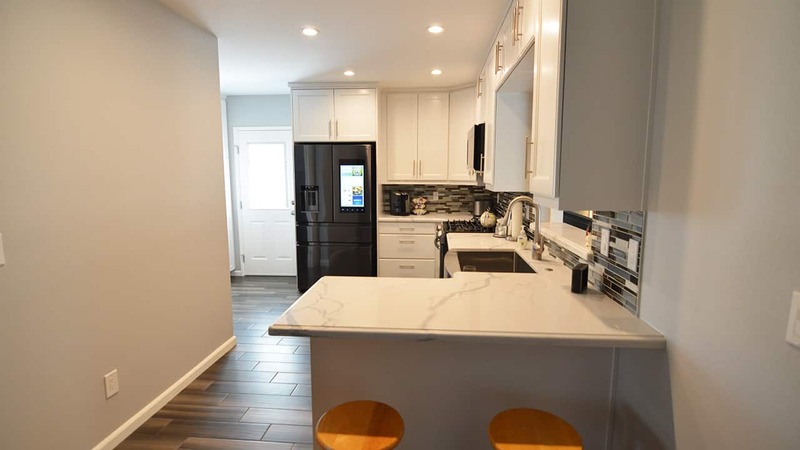 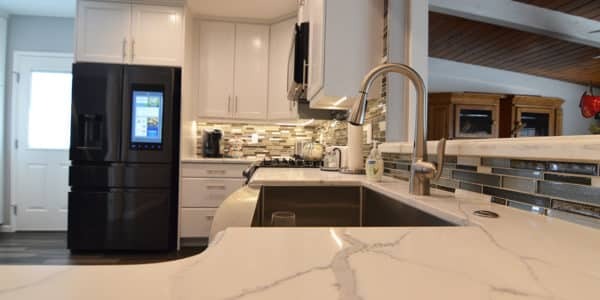 This modern kitchen remodel includes, black chrome appliances, the glass backsplash is from Daltile called Emerald Isle (CS96) it is a linear mosaic. 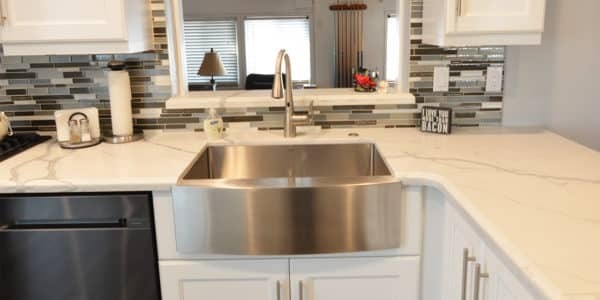 The countertop is a White Statuary Quartz (NQ12) from Daltile, the edge detail is an Ogee square, the sink is a stainless steel apron front sink from Moen (G18121).The flooring is a porcelain wood look tile from Arizona Tile called Africa Dark in a 6×24. 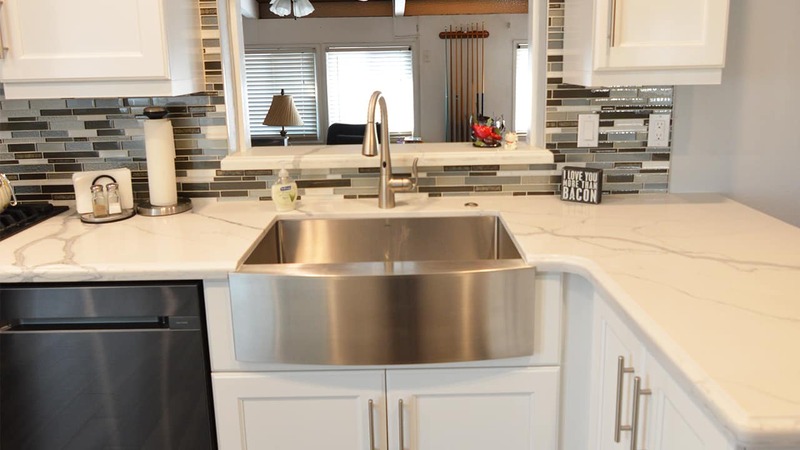 The faucet is in the finish spot resist stainless (M7594ESRS) from Moen, and the pulls are polished nickel from Top Knobs. 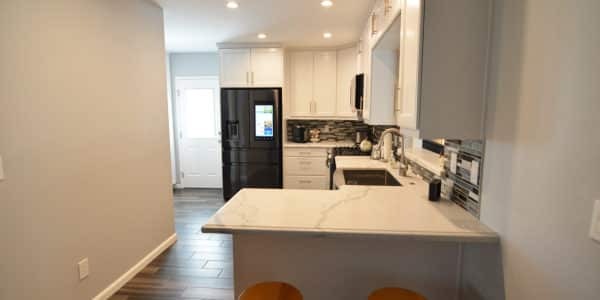 To tie the kitchen all together there are white shaker cabinets that opens up the kitchen and gives it, its modern style.